I was born in California in 1957 in the "tweed era" A time of classic American cars and classic American amps. 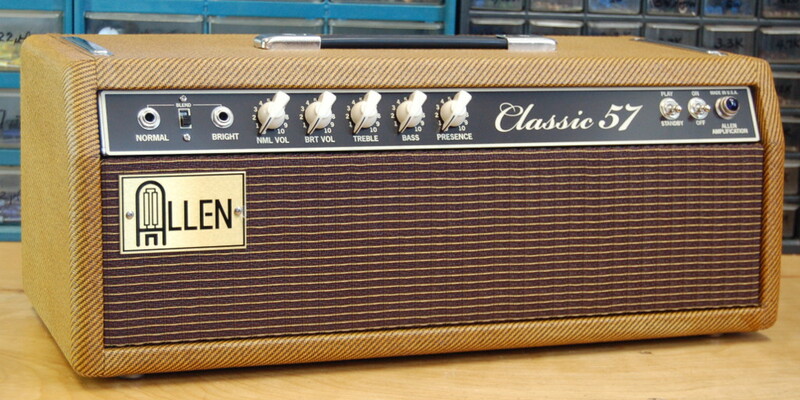 One of the best examples of the tweed amps was Leo Fender's 5E7 Bandmaster. He used the same circuit in the tweed Super and tweed Pro. 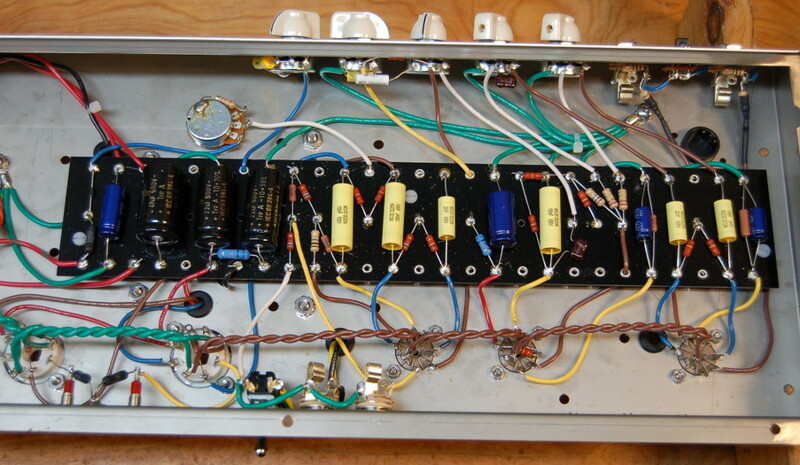 It had cool features and circuitry such as 4 inputs (which could be jumpered together), 2 volume controls, a presence control, a "cathode follower" stage, a split-load phase inverter, separate treble and bass controls that weren't really a tone stack, 5881 power tubes and a 12AY7 preamp tube for the first gain stage. At 28 watts it is a little more small club friendly than the more powerful Bassman. Very warm and thick with lots of bottom end if you want it. 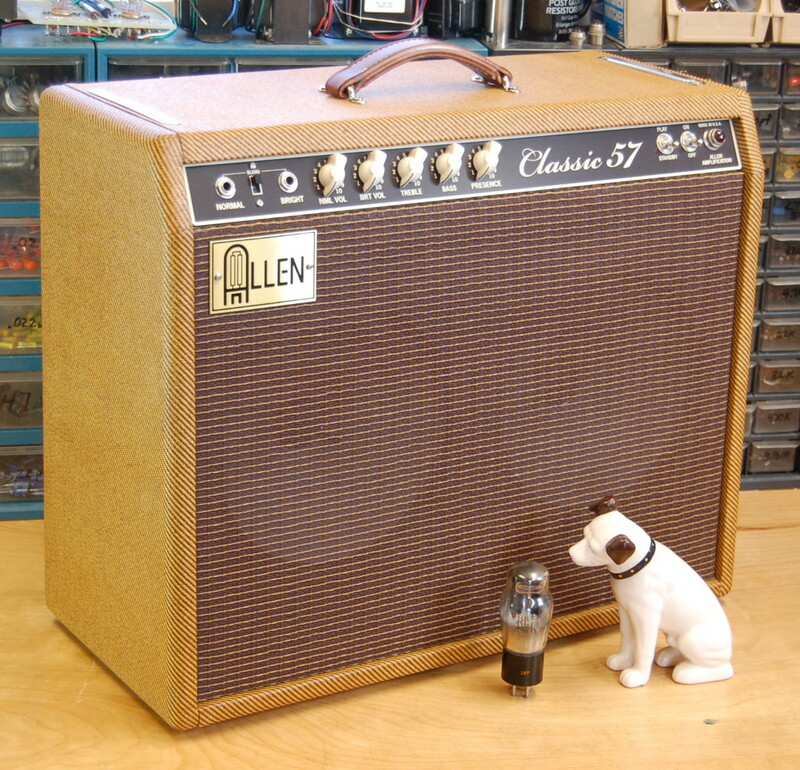 My new Classic 57 amp is my take on this classic Fender tweed amp. I use only 2 inputs but added a blend switch to jumper them together for a blended tone using both volume controls. I added adjustable bias with measurement jacks on the back plus an impedance switch for 4 or 8 ohms. It can easily be set up with 6V6s for 18 watts. I get requests for head versions of the tweed amps and they really aren't practical in tweed style chassis as the tubes hang down making a head cabinet very tall. As we have moved out in front of our amps to play now, it makes more sense to have the controls on the front with front reading graphics - no upside down labels. So the head version might be of interest to those who have existing speaker cabinets and want to split up the load for moving the amp around. I'm offering a head, a 1x12, a 1x15 and a 2x10 combo. 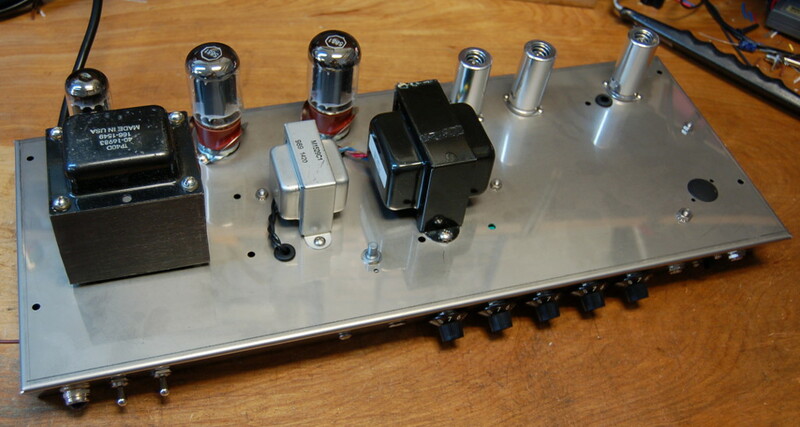 A NOS 5U4GB rectifier tube, Tung-Sol or JJ 5881s and EH preamp tubes are standard. A dogbone leather handle, sealed/aged cotton tweed covering and cream chicken head knobs are standard.